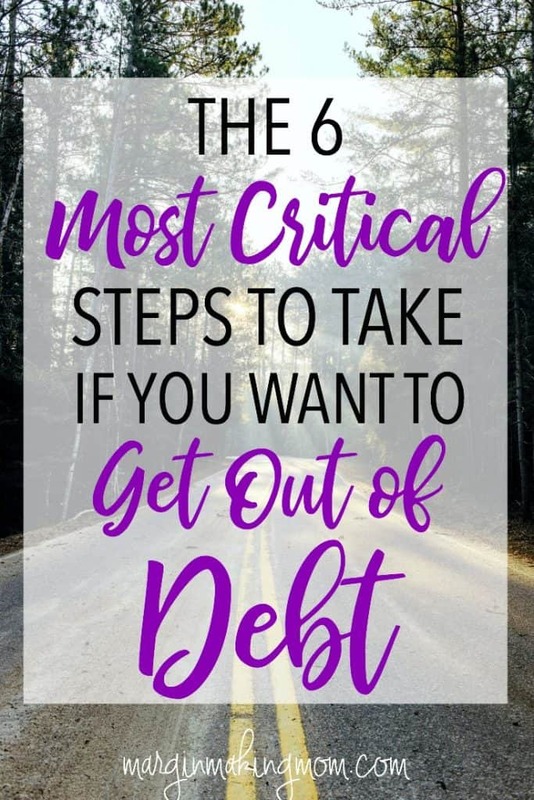 If you want to pay off debt, these 6 steps are critical ones for you to consider in order to set yourself up for success from the beginning! It was a bit of an unusual wedding gift. Not the typical toaster, towels, or Target gift card. Not fancy crystal or silver. But this gift without a doubt changed our lives more than we realized it would. In fact, it’s safe to say that it revolutionized our lives. A couple of years later, when we found ourselves with an enormous amount of debt, we realized we had to do something. But what? How do you dig yourself out of a $130,000 hole when you’re not making crazy high income? That unexpected gift, the incredibly valuable one we’d been given was an audio recording of the lessons from Dave Ramsey’s Financial Peace University. As we began listening to these teachings, the steps sounded reasonable. They sounded doable. We decided to give it a try. And friends, we haven’t looked back. Here’s the thing, though. Getting out of debt isn’t easy, especially when you have such a significant amount of it like we did. It doesn’t happen by accident. But with determination and the right plan, it is possible to accomplish more than you ever dreamed. If you want to get out of debt, the following steps are crucial to achieving that goal. 1. Get on a budget. In order to pay off debt, you first have to get a good handle on your monthly flow of money. It’s hard to get out of debt when you are living paycheck to paycheck. When you get to the end of your month and wonder where your money went, chances are you didn’t have much of a plan for your money. And without a plan, debt is not just going to pay off itself. Creating (and following!) a budget is perhaps the most important step to paying off debt. This helps you to reasonably see how much money you have available after covering your expenses. It also helps you to closely examine purchases and expenses to determine if they are necessary. We started out budgeting with paper and pencil and using cash envelopes, which I still think is the best way to get started. 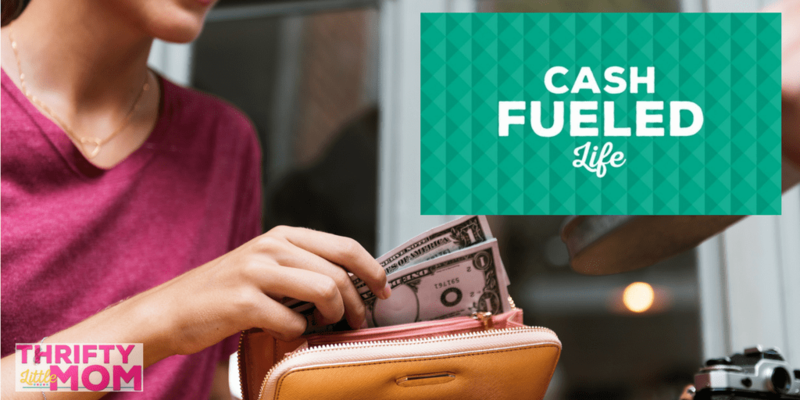 You can learn more about how to create a budget in 6 simple steps (including FREE printable budget forms!) here. If you’re serious about getting out of debt, it’s important to have some money in savings, in case of an emergency. Dave Ramsey recommends initially setting aside $1000 as a small emergency fund. What does this have to do with paying off debt? 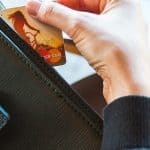 If an emergency comes up while you’re trying to pay off debt and you don’t have any money set aside, chances are pretty good that you will use a credit card or some other form of debt to handle the emergency. One step forward, two steps back. Having some money set aside will help to prevent you from accumulating more debt while you’re in the process of paying it off. Trying to pay off debt without a real plan is one of the biggest mistakes people often make. They pay extra toward this debt one month, then pay extra toward another debt the next. 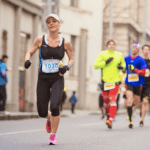 This willy-nilly approach will get you nowhere fast. It’s important to develop a plan if you want to pay off debt as quickly as possible. There are different approaches to paying off debt. The method we followed and the one Dave Ramsey recommends is the debt snowball method. This method suggests you pay minimum payments on every debt except the smallest. 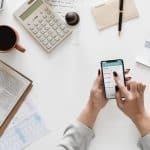 Any extra money you have in your monthly budget gets applied to that smallest debt to pay it off as quickly as possible. 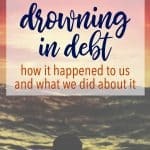 After that debt is paid off, you take the money you were previously allocating toward that particular debt and now apply it to the next smallest debt. As you continue knocking out debts, the amount you can put toward the next one grows, or snowballs. In our case, we created a spreadsheet of all of our debts—loans, credit cards, automobile loan, and medical bills. There were 17 debts total, each ranging from a few hundred dollars to several thousand dollars. We then ranked each debt from smallest to largest and began our plan of attack. 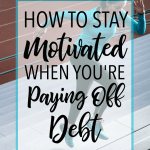 One of the great things about the debt snowball technique is that you have some “quick wins” where you realize, “Hey, I can do this!” By paying off a few small debts, it’s easier to get some momentum and feel encouraged when paying off the larger debts. Once you have your budget in place and your debts listed, set some goals. First, set your big goal for when you want to have your debt paid off by. For instance, suppose you have $10,000 of debt and you decide you want to pay off within two years. That’s your big goal. 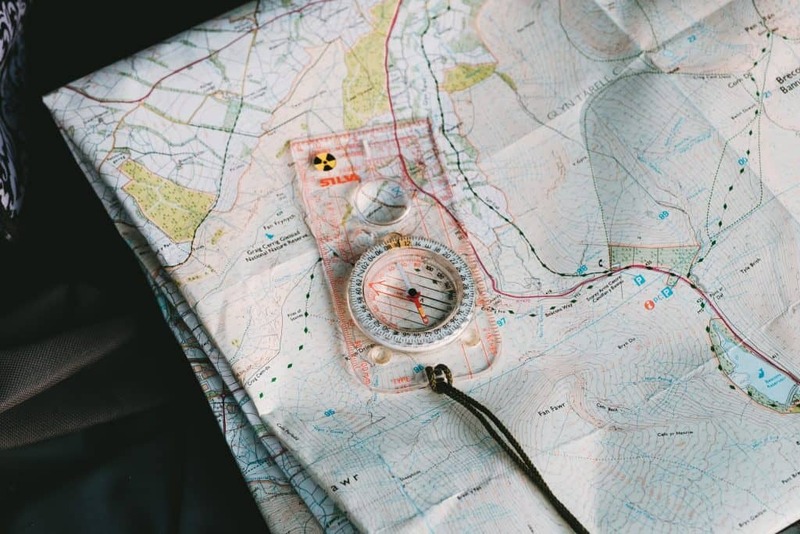 Having a big goal is a great starting point, but you’re much more likely to accomplish the goal if you break it down into bite-sized pieces. So if you want to pay off $10,000 in 2 years, you can break that down and see that you will need to put about $417 each month toward that debt in order to accomplish your goal. That gives you a short-term goal to strive for each month. Knowing what you need to do now to meet that big goal will help you realize you make the necessary changes. You may need to make budget cuts or increase your income in order to meet your monthly goal. Despite your momentum, when you’re dealing with a large undertaking such as paying off debt, you’re bound to have some setbacks. Just expect them. Your car may break down. You may lose your job. You may have unexpected medical expenses. Your washing machine may break. And the list goes on! There may be times when you need to temporarily pause your debt payoff in order to take care of these things. That’s ok! That’s life. The important thing is that you don’t let setbacks totally derail your progress. Get back on track as soon as you can. 6. Determine what motivates you. What’s your “why?” Why do you want to get out of debt? How will this change affect your life? Will you finally be able to go on your dream vacation? 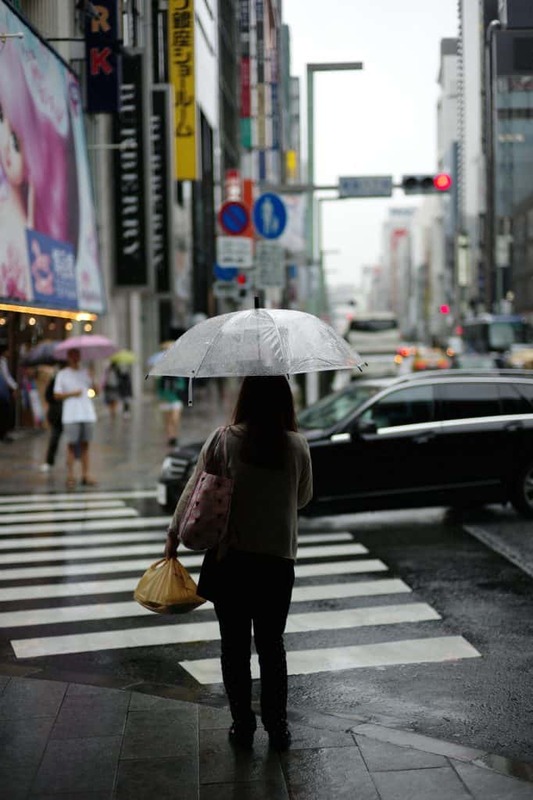 Contribute more to your retirement savings? Give generously to the orphanage in Haiti that you value so much? Save for your child’s college tuition? Spend more time with your family? Have less stress? Take a few minutes to write down your “why.” Put it in a place where you can easily refer to it as motivation. Knowing your purpose will help you when the journey is painful. When you feel like giving up, you can remember that the end goal will be worth the sacrifices you are making now. Getting out of debt is absolutely worth the hard work, but it is hard work. In order to accomplish your goals, it is important to devise a plan and stick with it, even when it’s not fun. When you plan for setbacks, you’re less likely to become discouraged. Knowing your purpose will help you hang in there when the going gets tough. That wedding gift that we received? It’s the gift that started it all and spurred us to action. And in many ways, it is also the gift that keeps on giving. 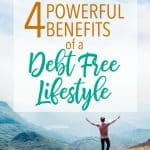 Because when you give yourself the gift of a debt freedom, you get to experience the countless benefits that come along with a debt-free lifestyle. So if you’re just getting started, begin with the end in mind, then take the first step in that direction. Then the next step, and the next. As someone who is now on the other side of the debt-free journey, I can honestly tell you that, with hard work and determination, you can accomplish your goal. Hang in there! Because friends, it is so worth it. Are you paying off debt? What steps have you found to be helpful along the way?